The Holy Spirit, who is “love in a pure state,” is the “most exciting reality that one can think of”: He is “the only one that can breathe a soul into our withered humanity,” said Father Raniero Cantalamessa, Papal Household Preacher, who on March 10, 2017 will open in the Vatican a series of homilies on Fridays of Lent on this theme. 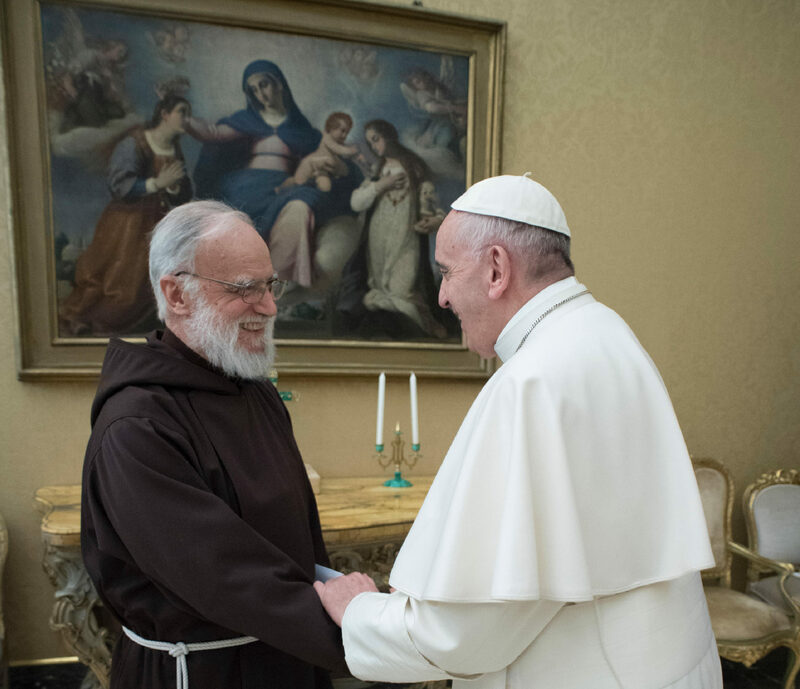 In a conversation published on the eve in L’Osservatore Romano in Italian, the Capuchin Religious explained this year’s theme: “No one can say ‘Jesus is Lord’ except by the Holy Spirit” (1 Corinthians 12:3). They are also intended to mark the 50th anniversary of Renewal in the Spirit in the Catholic Church, a “jubilee that Pope Francis wishes to have celebrated with particular solemnity and ecumenical opening to the forthcoming Pentecost,” continued Father Cantalamessa. The Holy Spirit “is not an idea or an abstraction; He is the most exciting reality one can think of. It’s not for nothing that Scripture speaks of Him with the symbols of wind, fire, water, perfume, a dove,” stressed the preacher. “We live in a civilization characterized by the absolute predominance of technology. One even imagines a computer capable of thinking, but no one has ever thought of a computer capable of loving. The Holy Spirit, who is love in a pure state and the source of all love, is the only one that can breathe a soul into our withered humanity,” he added. For Father Cantalamessa, “the most ‘current’ things are the eternal things, namely, those that touch persons in the most intimate core of their existence, at all times and in all cultures.” “We are always tempted to put ‘the urgent’ before the important, and to put ‘the recent’ before ‘the eternal,’” he noted. “What is more important and current for a believer or, rather, for all men, for all women, than to know if life has or does not have meaning, if death is the end of everything or, on the contrary, the beginning of true life?,” he asked. The paschal mystery of the Death and Resurrection of Christ (. . .) is the only answer to these problems,” he concluded.